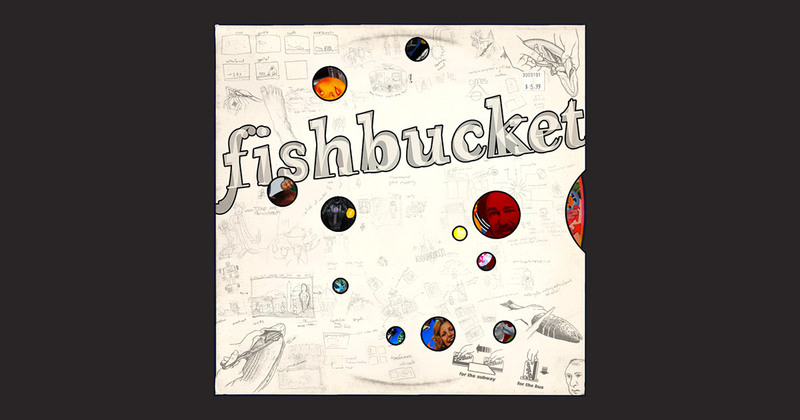 Are you a fan of Fishbucket, but always hated that it’s not backwards? Well, you’re in luck! 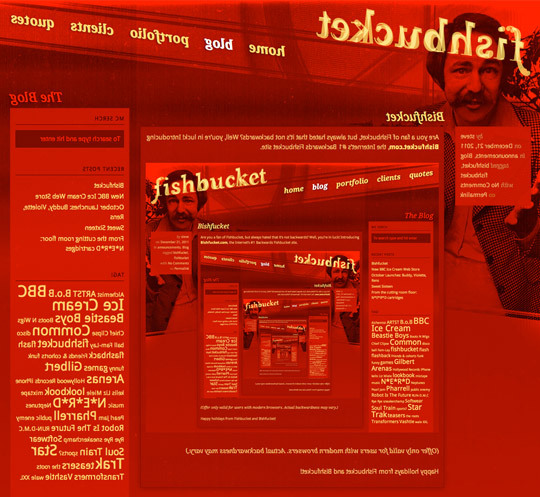 Introducing Bishfucket.com, the Internet’s #1 Backwards Fishbucket site. Happy holidays from Fishbucket and Bishfucket! I announced this on twitter a few weeks ago but hadn’t officially mentioned here yet, but I’ve been using the tumblr lately. Apparently I signed up for an account about three years ago and completely forgot about it. A few weeks back I was talking to Brian Raftery about tumblr, saying things like “I don’t get it!” and “it doesn’t make any sense?” I just couldn’t figure out why someone would want to use this closed-off half-blog system if they have a real blog at their disposal. Then I started to understand, where a blog post should have a title and a point, a tumblr is less formal and more random. (aha! steve catches up to 2008.) So I started pulling some things out of the archives, lining up some assorted nonsense, and somehow I’m already up to 80 posts. Take a look! 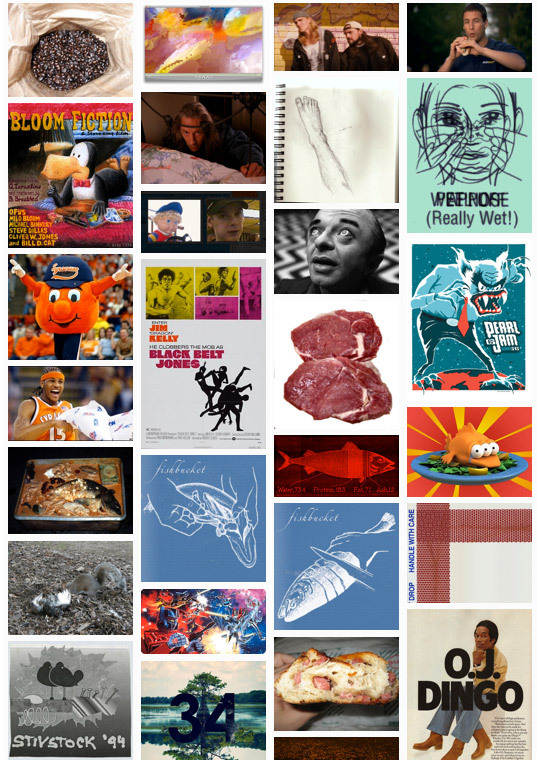 You’ll also see recent images from there in the new sidebar on the bottom right of this here blog page. 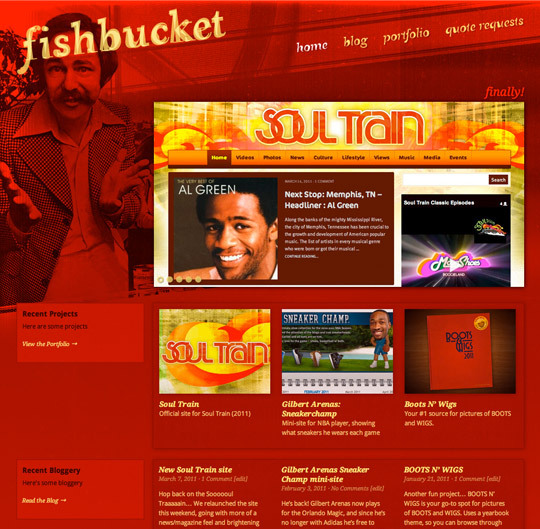 Look, a brand new fishbucket.com! While the randomness of the old pages was fun, I figured a cleaner homepage and blog and some sort of “navigation” could be useful. So here we are! The cast of characters is the same, but there’s a little more order around here. 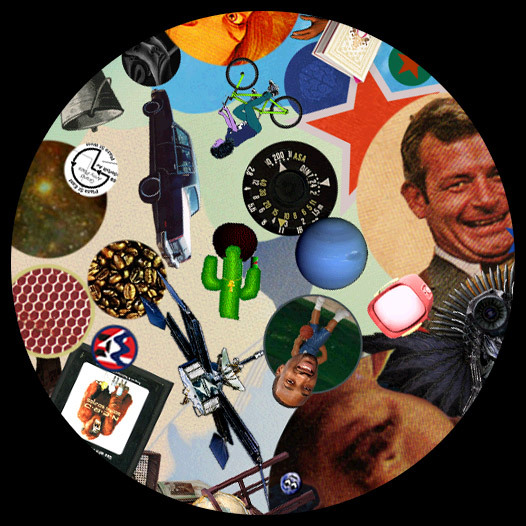 The revamped portfolio is easier to navigate and won’t be left neglected for months/years anymore. The quote request page works as it used to, and the blog has moved off of the homepage and into its own comfortable corner. Full disclosure… I assume most professional web designers are in the same boat, but with a full client load it’s hard to find time to work on your own site. 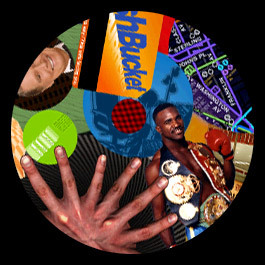 To expedite the process, this site is based on an excellent theme by Orman Clark. Check him out! This just in: Fishbucket just got a little more legit.